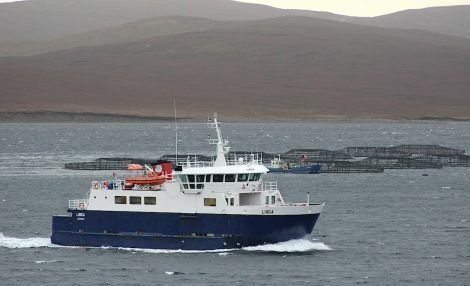 CONCERNS have been raised locally after Orkney Islands Council (OIC) agreed to look into transferring ownership of its inter-island ferry services to the Scottish Government – potentially ending its part in a Northern Isles campaign to achieve fair funding. Earlier this week, OIC members agreed to attempt to negotiate the transfer to the government as soon as possible because it was felt there was a “high level of risk” that it wouldn’t receive extra cash for ferries for 2018/19, which could lead to services being reduced. The move comes just a matter of weeks before the government decides on its budget for the next year, after Orkney and Shetland worked in tandem for months on the principle of securing more core funding for ferry services. Shetland MSP Tavish Scott said it was a “puzzling decision” due to its timing. Papers for OIC’s policy and resources meeting said if the ferries were transferred from the local authority to Transport Scotland, it would be “likely that they would be tendered in a similar way to the Northern Isles ferry services contract”. It added that while the “responsibility of internal ferry services would be lost locally, it is likely that Transport Scotland would need to enhance services to reflect that operated across the rest of Scotland”. The report for Orkney councillors said there was a “high level of risk” that the government would not agree to stump up extra cash for ferries for 2018/19. While both island councils had been working together on the principle of achieving fair funding, Shetland is spending more of its own money on ferries than Orkney. He pointed to the two local authorities having their “individual asks” – something which “remains the case”. There is a feeling within Shetland’s negotiating team, which includes SIC leader Cecil Smith, that they aren’t willing to attempt Orkney’s move yet as they continue to strive for fair funding. But there is strong disappointment locally over the timing of the OIC decision. “In terms of going forward beyond the 2018/19 budget and pursuing fair funding of our internal ferries, the decision by Orkney puts us in a different position, something the councillors involved and officers will work on,” Thomson said. “But dialogue continues with Orkney Islands Council – only yesterday I had a telephone conversation with leader James Stockan, which was very constructive. Shetland MSP Tavish Scott said he assumed the OIC policy and resources committee decision would still have to be endorsed by its full council. He said there would be “big consequences” for Orkney if it decided to hand control over ferries to Transport Scotland, but Scott does not sense there is any real appetite for a similar move in Shetland. He added that finance secretary Derek Mackay “needs to put money in for ferries – that’s what we’ve asked of him and that’s what I expect of him”, adding that would be the very minimum necessary for him even to consider supporting a budget that he expects will be “cripplingly bad for public services”.